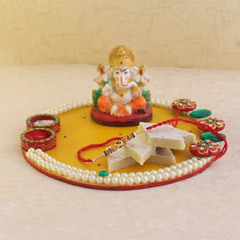 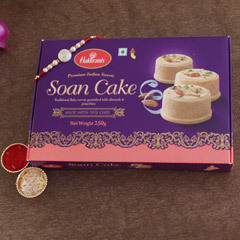 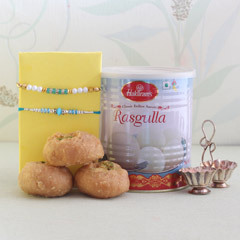 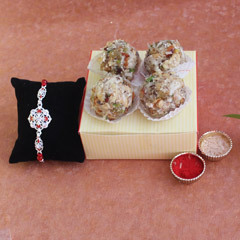 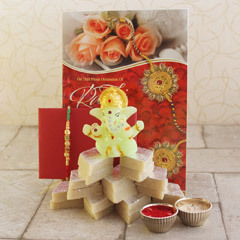 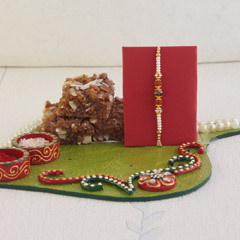 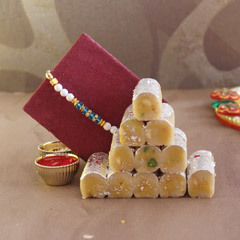 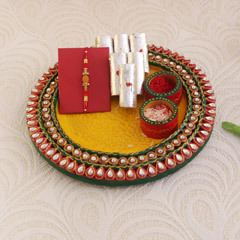 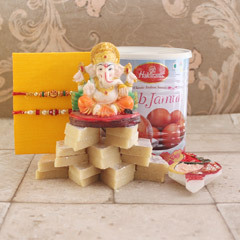 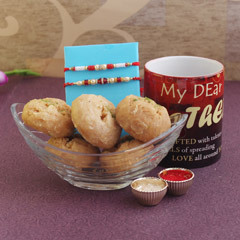 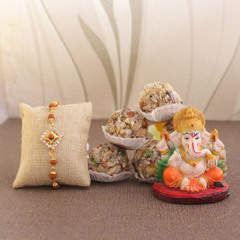 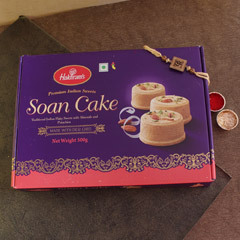 Wish to send Rakhi with Sweets to your dear brother who is living in a different city or country? 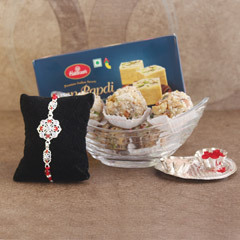 Well, Send Rakhi is the only place where all your wishes come true in just a few clicks. 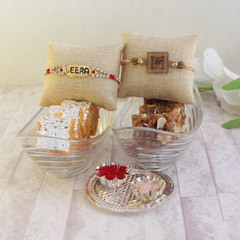 We have a curated range of Rakhi baskets, hampers and combo packs to help you pick the perfect piece for your dear ones. 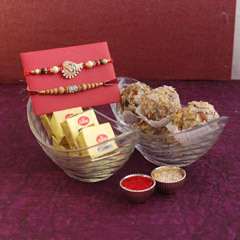 Send love in a box full of sweetness with our offered range of Raksha Bandhan special combo packs. 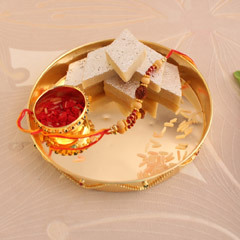 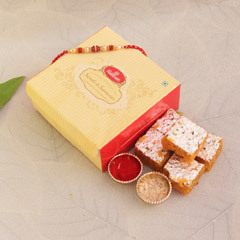 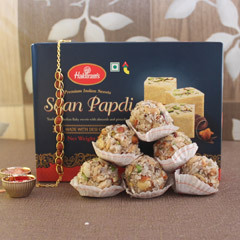 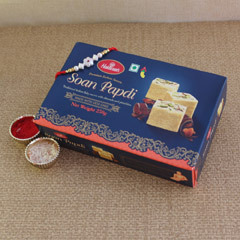 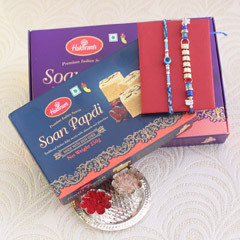 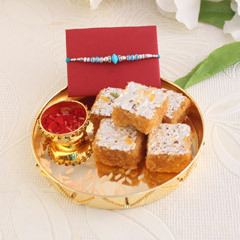 From Kaju Katli and Besan Laddoo to Bundi Laddoo and Barfi, you can send anything to your brother along with a Rakhi. 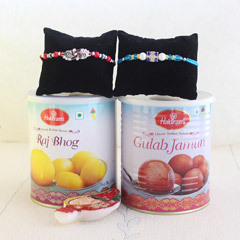 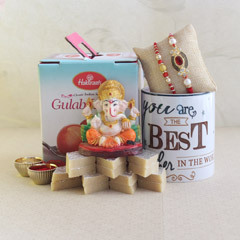 If you want to show your love and affection to your loved ones then pick the uniquely designed Rakhi Baskets where you can buy a combo of Rakhi along with sweets, chocolates or dry fruits. 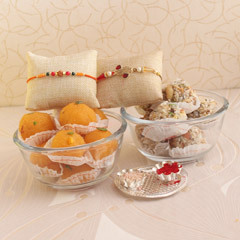 Sendrakhi.com boasts the largest network for online delivery. 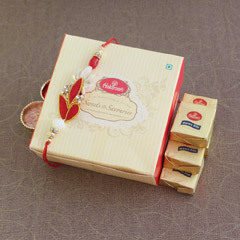 Hence, you can be sure about timely delivery of your Rakhi to anywhere in the country or across the world. 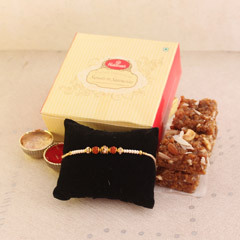 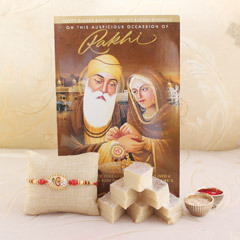 We can send beautiful Rakhi gift sets to your loved ones with options for same day delivery and express delivery. 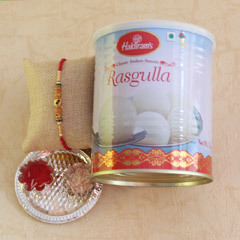 All you need to do is, pick the delight of sweetness from our broad range and hit the Buy button. 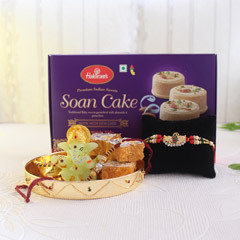 We have set a benchmarking standard by becoming the largest ecommerce portal for sending Rakhi and gifts. 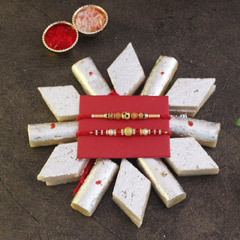 Sendrakhi.com assures complete piece of mind by creating a safe and secure online shopping environment. 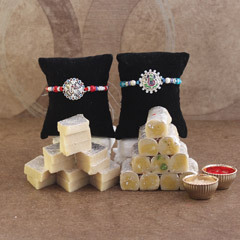 Besides, we offer free shipping so what are you waiting for? 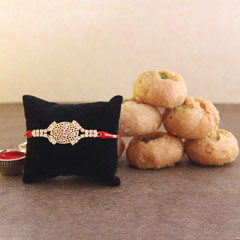 With only a click, your love will be sent to your brother who is away from you. 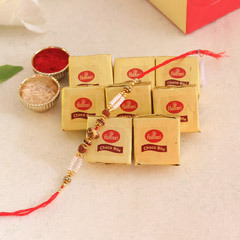 The best design of traditional and handmade Rakhi is here, pick one and send Rakhi with Sweets that your brother will love.